As a business owner, there are times when cash flow declines make it impossible to run the company smoothly. This is especially common with small businesses whose financial capacity is not stable. With low cash flow, it actually becomes very hard to meet all the costs necessary to run a business operation. When a business is in such a situation, there are several ways they can get themselves out of a financial crisis. One of the most common ways is by applying for a loan. Unfortunately, nowadays it has become very hard for small businesses to get traditional loans due to bad credit. Many financial institutions are not willing to give out loans to businesses with a poor credit record. Due to this, lenders have come in to ensure that even a business which has a poor credit is able to access loans by using their assets as collateral for the loan. This is what is referred to as asset-based lending. If a business has some valuable assets, the assets are used as collateral for the loan such that in case the business owner fails to repay the loan, the lender can go ahead and sell the asset in order to recover the loan. It has become one of the easiest ways for small businesses to get quick cash in order to continue operating. The process of asset-based lending is not as demanding as other methods a business can use to get a loan. However, it is not all seamless and easy when it comes to asset-based lending! It has its own disadvantages which every entrepreneur should know before using their assets as collateral for a loan. Here is a quick look at the pitfalls of asset-based lending to business owners. The fact that asset-based lending uses the assets of a business as collateral does not mean that any asset can be used as collateral. Lenders also have certain terms that an asset has to meet before it is used as collateral for the loan. If you are running a business, there are some assets that are more valuable than others. Most of the times a lender will want to give an asset which has a higher value, low depreciation rate and is easily convertible into liquid cash. This shows that not every asset will meet all these conditions. In recent times, lenders have been using the accounts receivables of the business as collateral for the loan in that a certain percentage of the daily sales is deducted to repay the loan. 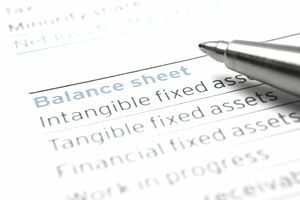 If the account receivables are not strong enough to be used as collateral then the lender will demand an asset to be used as collateral for the loan. But remember not all assets can qualify to be used as collateral. For an asset to qualify, it has to be of high value, low depreciation rate or high appreciation rate and easily convertible into cash. Those are the conditions that make an asset to be used as collateral when it comes to asset-based lending. This means that a business whose accounts receivables is weak and whose assets do not qualify will have a hard time qualifying for an asset-based loan. Compared to traditional loans, asset-based loans do cost more. Some banks or other financial institutions want the borrower to provide very detailed information about the asset being used as collateral for the loan. Most of the times, this gets business owners unaware of any tangible information about their assets. This definitely forces entrepreneurs to give very concrete information about the current value of the asset in question and the depreciation rate of the asset. Gathering all that information is an expense on its own and thus increase the cost of the loan. On the other hand, some banks may charge audit fees, diligence fees and the interest rate on the loan. This will always make an asset-based loan too expensive for small businesses compared to a traditional loan. When it comes to a traditional loan, the only thing that is charged by a bank is the interest rate and nothing else. Regretfully, small businesses with poor credit records cannot qualify for a traditional loan from a financial institution. This is where an asset-based loan comes in to rescue for businesses with poor credit records but have tangible assets that can be used as collateral. When it comes to asset-based loans, a lender often looks for an asset that can quickly be converted into money in case the business owner fails to repay the loan. This means that lenders will always lower the value of the collateral in question. For example, if the market value of an apartment which has been used as collateral for a loan is $300,000, the lender might value it at $230,000 and give you a loan of $230,000. This is a very big blow to a business owner since the collateral's value is lowered in that in case you default in repaying the loan, the lender sells it as a throwaway price in order to recover their money. This devaluation of collateral makes asset-based loans a risk option. In another scenario, there are assets whose value keep appreciation after a certain time duration. When such an asset is used as collateral for a loan, the lender compared to the borrower in case the borrower fails to repay the loan. Suppose a certain asset that has been used as collateral for a loan is not valued at $300,000 and the appreciation rate is 10% p.a. If the borrower is unable to repay the loan, then it means that the lender will sell it at a higher price and make a profit. On the other hand, if the value of the collateral appreciates, the lender cannot raise the loan limits of the borrower. The loan limit is constant despite the asset's increase in value, which is used as collateral for the loan. The three scenarios show that the lender of an asset-based loan will always have an upper hand when it comes to the valuation of the assets. If the asset appreciates in value, the more profit the lender will make in case the entrepreneur fails to repay the loan. Secondly, the lender will always quote the value of the asset lower than the current market value. This makes you qualify for a smaller loan than what you expected. Therefore, an asset-based loan is not as good as you thought. As said earlier, an asset-based loan is a type of loan whereby the borrower uses a valuable asset as collateral in order to be given the loan. The collateral used may be sold by the lender to recover the money that was granted to the borrower in case the borrower fails to repay the loan. If you fail to repay the money, the lender will definitely come for the asset that was used as collateral in the first place and sell it. When this happens, the lender makes a lot of profit especially on assets whose value keep appreciating with time such as the business premises or machinery. This will make the borrower lose a very valuable asset which could have been used to bring about business growth in the near future. At times, a business may fail to repay the loan and the asset that was used as collateral has a very low market value such that even if it is sold, the money is not enough to clear the loan. When this happens, the lender shall be forced to seize other assets that the business has so as to sell and recover the money fully. This will definitely make the borrower lose very valuable assets. For example, an entrepreneur could have used a car as collateral but since a car depreciates in value, failing to repay the loan will force the lender to sell the car and if the value of the car is low, then the lender might come for your premises. This means that you will end up losing both the car and the premises for the loan to be repaid fully. One great risk of placing assets as collateral for the loans is over mortgaging. If you use apartments as collateral for the loans, you will end up owing more on the loans than what you really have in equity. If the value of the apartments goes down, then the lender will be forced to take more collateral from you in order to recover their money. This is what is referred to as over mortgaging your own assets. This is a great risk that a business should never get into since the business owner could lose every valuable asset that the business owes to the lender when it comes to loan recovery. This shows that using real estate as collateral for asset-based lending is not one of the best options. First of all, there comes a time when the real estate market drops down. When this coincides with the business failing to repay the loan, then the lender will sell the collateral in question and if it does not yield enough cash that can recover the loan, then more and more property will have to be seized by the lender in order to recover the money. This is a huge risk as the business may lose all of its assets in the long run. The bad thing with secured loans is that they do not build upon the credit of the business. This is because of the fact that any business that reaches a point of using its own asset as collateral for a loan is deemed to be financially unstable. Thus, if you are the type of person who wants to build credit, then going for an asset-based loan won't be the best option for you. This is disadvantageous to the borrower especially one who is committed to repaying the loan throughout the agreed period. If you take an asset-based loan and struggle to repay it fully, it won't add anything to your credit report. When you compare asset-based loans to traditional loans in terms of building your business credit report, then the traditional loans are far much better. When you repay a traditional loan on time, your credit score will go up with time. A good credit score makes your business attractive to creditors and thus getting a loan becomes easier. Every creditor will be 90% sure that any business with a good credit score will be able to submit the loan repayment on time. However, even if you repay an asset-based loan on time, it won't improve your credit score. In summary, most of the times all secured loans have negligible effects on the credit score of a business. When you use an asset of your business as collateral for a loan, the lender or the financial institution that gave you the loan will need you to do regular monitoring of the collateral to ensure that it is in good condition and can be sold with ease in case you fail to repay the loan. You will be forced to write reports about the condition of the asset every now and then. In fact, the lender may even dictate on how you are supposed to use the asset to make sure that it does not have wear and tear. The regular monitoring can be very tiresome and boring. At times the lenders might even come to your premises to do the monitoring on their own. This will take most of your time and could force you to postpone your other business engagements. As if that is not enough, the lender could provide guidelines on how the asset shall be used in order to maintain its value. This is not a desirable thing to any business owner but with asset-based loans, you will have to abide by the guidelines of the lender. The above drawbacks show that an asset-based loan is not as many business owners think. Before you decide on using your asset as collateral for a loan, you should first consider the above pitfalls.